DoktorSick program ep 19 house on bare mountain from Doktor Sick on Vimeo. DoktorSick Program ep 18 Easter Special from Doktor Sick on Vimeo. DoktorSick Program ep 17 Xmas special from Doktor Sick on Vimeo. DoktorSick Program ep 16 insane to the brain from Doktor Sick on Vimeo. DoktorSick Program ep 15 Pieces from Doktor Sick on Vimeo. DoktorSick Program ep 14 kiss me quick from Doktor Sick on Vimeo. 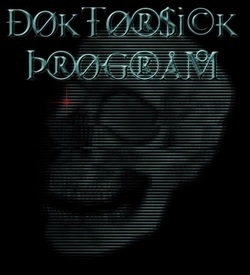 doktorsick program ep 13 alien vengence 2 rogue element from Doktor Sick on Vimeo. Doktor Sick Program ep 12 Fangs of the lesbian Vampire from Doktor Sick on Vimeo. DoktorSick program ep 9 I drink your blood from Doktor Sick on Vimeo. DoktorSick Program ep 8 Death Bed the bed that eats people from Doktor Sick on Vimeo.